Dopamine neurons are located in the midbrain, but their tendril-like axons can branch far into the higher cortical areas, influencing how we move and how we feel. New genetic evidence has revealed that these specialized cells may also have far-reaching effects, implicating them in conditions that range from Parkinson's disease to schizophrenia. Using a new technique known as laser-capture RNA seq, that involves cutting out dopamine neurons from a human brain section with a laser, investigators from Brigham and Women's Hospital and Harvard Medical School have cataloged more than 70,000 novel elements active in these brain cells. Their results are published this week in Nature Neuroscience. "We found that a whopping 64 percent of the human genome – the vast majority of which is 'dark matter' DNA that does not code proteins – is expressed in dopamine neurons in the human brain," said Clemens Scherzer, MD, a neurologist and genomicist who directs the APDA Center for Advanced Parkinson's Disease Research and leads the Precision Neurology Program at BWH. "These are critical and specialized cells in the human brain, which are working sluggishly in Parkinson's disease, but might be overactive in schizophrenia." In total, they found 71,022 transcribed noncoding elements (so called TNEs). Many of these TNEs (pronounced "teenies") are active enhancers – sites that act as regulatory "switches" for turning on specialized functions for billions of neurons in the brain. Many of the TNEs the team unearthed are novel and had never before been described in the brain. Working with collaborators in England, Scherzer and colleagues tested several of the TNEs in preclinical models, including zebrafish, finding evidence that many were active in brain development. 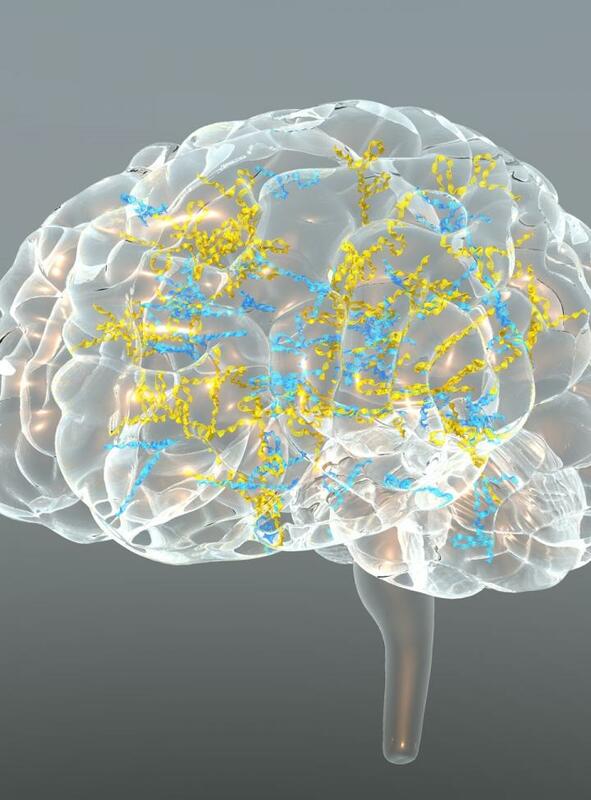 "This work suggests that noncoding RNAs active in dopamine neurons are a surprising link between genetic risk, Parkinson's and psychiatric disease," said Scherzer. "Based on this connection we hypothesize that the risk variants might fiddle with the gene switches of dopamine-producing brain cells." This study was funded by the National Institutes of Health (grants U01 NS082157, R01AG057331, NIA P30 AG028383, NIA P50 AG005134) and the US Department of Defense, the Michael J. Fox Foundation (MJFF, the Australia NHMRC GNT1067350, UK Wellcome Trust Investigator award, NINDS U24 NS072026 National Brain and Tissue Resource for Parkinson's Disease and Related Disorders. Scherzer has collaborated with Pfizer and Sanofi; has consulted for Sanofi; has served as Advisor to the Michael J. Fox Foundation, NIH, and Department of Defense; is on the Scientific Advisory Board of and has received funding from the American Parkinson Disease Association; and is named as co-inventor on two US patent applications on biomarkers for PD held in part by Brigham and Women's Hospital. Additional disclosures can be found in the Nature Neuroscience paper.